Depression: Does Everyone Have it? 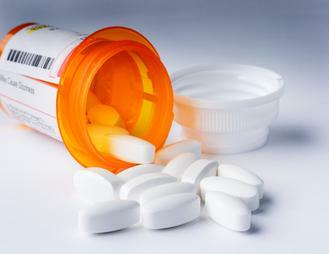 The second most lucrative drugs sold in the United States are those used to treat depression. (Drugs to prevent heart disease are first.) Abilify, an antipsychotic and antidepressant, is the 4th largest selling drug in the U.S. with 5.2 billion in sales. I regularly take Abilify, but was surprised when I went to pick up my prescription last week and was told the cost was over $500. Not realizing my insurance no longer covered the entire cost, I laughed because I thought it was a joke. When I was told that the price was already discounted $500, I knew it was not a laughing matter. Wha – wha – wha? $500 is the discounted price? And I was expected to pay that? Is it any wonder that people believe that the pharmaceutical companies have physicians in their back pockets? I had to walk away without this important med in the hopes my pdoc could find a good alternative. Finding the right mix of medications that would help stabilize my bipolar disorder took over 3 years. And that was not fun. Now I have to hope an alternative can be easily found without going through the trial and error period again. I’m optimistic that an alternative can be easily found, however, that small feeling that maybe it won’t be easy is creating more anxiety than I feel like dealing with right now. Please don’t mind if I repeat the last sentence, “There is a need for improved targeting of diagnosis and treatment of depression and other mental disorders in these settings.” Yes, indeed, there is a need.. It sickens me that I had to be homeless and dumped at the doorsteps of Cedar Sinai Hospital before I could get the help I needed, yet, others are getting medicated when they only feel sad or have the blues. I don’t blame the patients, in this world of instant gratification, who wouldn’t want a magic pill to help them feel better or perhaps not feel at all. It is the physicians who are to blame. The study involved 5,369 participants and examined adults with clinician-identified depression and individuals who experienced major depressive episodes within a 12-month period. It found that when assessed for major depressive episodes using a structured interview, only 38.4 percent of adults with clinician-identified depression met the 12-month criteria for depression, despite the majority of participants being prescribed and using psychiatric medications. We live in a country that does not have respect for the mentally ill. Public opinion seems to be that too many are seeking a quick fix to help overcome their depression. Apparently they are correct. Public opinion is that doctors are giving out medicine like candy, rather than seeking more appropriate means of therapy. For many that seems to be true as well. If you’ll take note of that definition, nowhere is the word “sad” used. Nowhere is the word “unhappy” used. If your car is stolen, you are unhappy. If your dog dies you are sad. True, clinical depression just is…it does not occur because you are unhappy, it does not occur because you are sad. Depression occurs for no damn reason. That’s the part that the public doesn’t understand. It saddens me that the medical field doesn’t understand that either. It looks like it’s going to take a while for the stigma of being mentally ill goes away. It’s so depressing. ← Procrastination, Lazy or Depression? Well said my darling, Bradley! I always get more than a little grumpy when people equate depression and sadness as the same thing. They are certainly co-morbid at times, but still. I think you make a good point here, Bradley. There are clinical criteria for genuine depression. Everyone is susceptible to being down, sad, or blue on occasion. This is very different from genuine depression. As for obscene drug company profits, it is an outrage. I bet you can buy your drug for 1/10th the cost in a 3rd world country. Why do you think there is this juxtaposition of over- and under- diagnosis? I am really curious … are the over-diagnosed pushier? More likely to go to a doctor when something small is out of sorts? Accustomed to feeling “happy” and quick to rush back towards that feeling? And are the under-diagnosed so used to feeling down and dejected that they don’t feel there is hope for a doctor to help? Or that saying something will make a difference? Or even getting themselves to the doctor and trying to take care of themselves? Thinking about this, because I’ve been dealing with allergies for years, and just assumed it was my norm, so went to the doctor yesterday and didn’t even mention that as a concern. She looked at my nostrils and insisted something had to be done right away. And that is a physical ailment, so it was easier for her to detect. Maybe people with mental illness are so used to it as the norm that it isn’t communicated as it should be?